For Austerlitz, the eponymous narrator of W. G. Sebald’s 2001 novel, the repressed memories of his traumatic childhood in Nazi Germany keep resurfacing in unexpected and disturbing contexts. These memories form the basis for the novel’s narrative structure – a kind of stream-of-consciousness text with no chapter or even paragraph breaks. 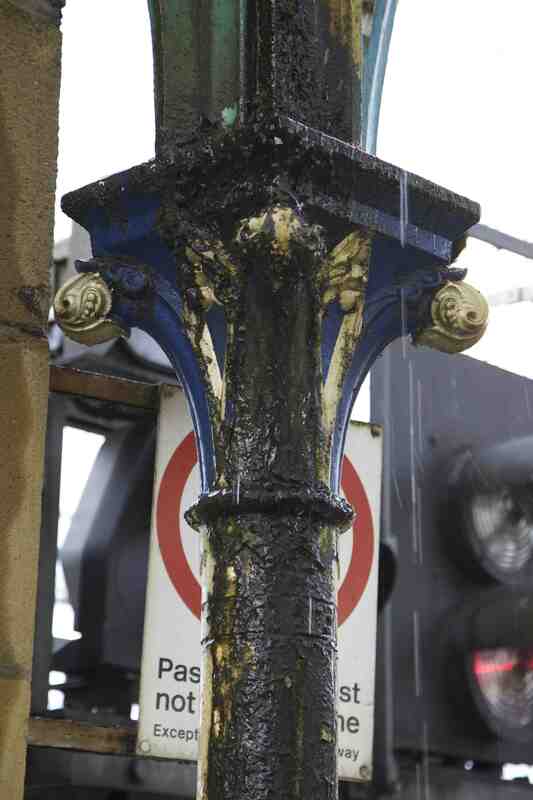 But why might an ornamental cast-iron column in a provincial Czech railway station stir long-submerged memories? Sebald, of course, doesn’t give an answer, but it’s something to do with the ‘puce-tinged encrustation’ on the iron capital which makes it seems almost alive and therefore conscious and capable of memory – of remembering Austerlitz when he was a child. A ridiculous idea, no doubt, but one that I find has strong resonances with radical notions of ornament developed by the German theorist Siegfried Kracauer just at the beginning of the rise of fascism in Germany in the early 1930s. Like other intellectuals of his generation (particularly Walter Benjamin), Kracauer was worried that the modernists’ banishment of ornament would lead to it returning in a ‘dislocated, unmediated’ form that could be utilised for the strengthening of totalitarian power – think the Nuremburg Rally or Nazi propaganda films. Yet, Kracauer also saw a radical potential in ornament. In his autobiographical novel Ginster (1928), the protagonist – an architect – challenges his own sense of alienation in modern Berlin with a developing notion of ornament – encompassing much more than conventional visual decoration and including accidental ornament (creating by the smudging of a window), schoolboy doodles, or the patterns in decaying walls. Kracauer’s broad notion of ornament allows the individual to ‘resubjectivize’ the increasingly objective and rationalised modern city by fixed visual images that mediate the present and the past, thus breaking down the distance between the individual and the whole. It’s precisely this function of ornament that infuses Sebald’s Austerlitz with its narrative potency. 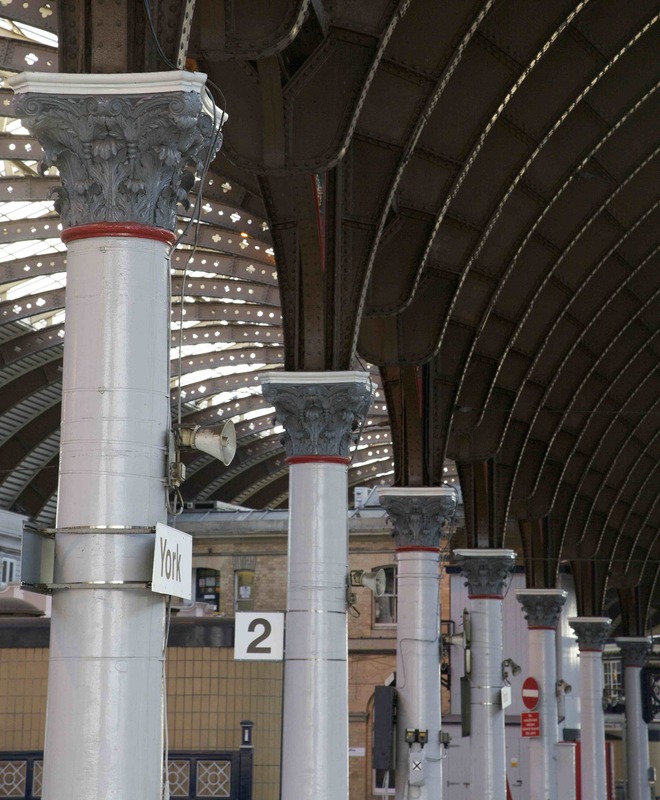 Without him knowing it consciously, the cast-iron column in the railway station mediates present and past, partly because its visual appearance – covered in the encrustations of decay – provokes its appropriation as an object that is both present and bears witness to its history. And cast iron seems peculiarly suited to this kind of mediation. 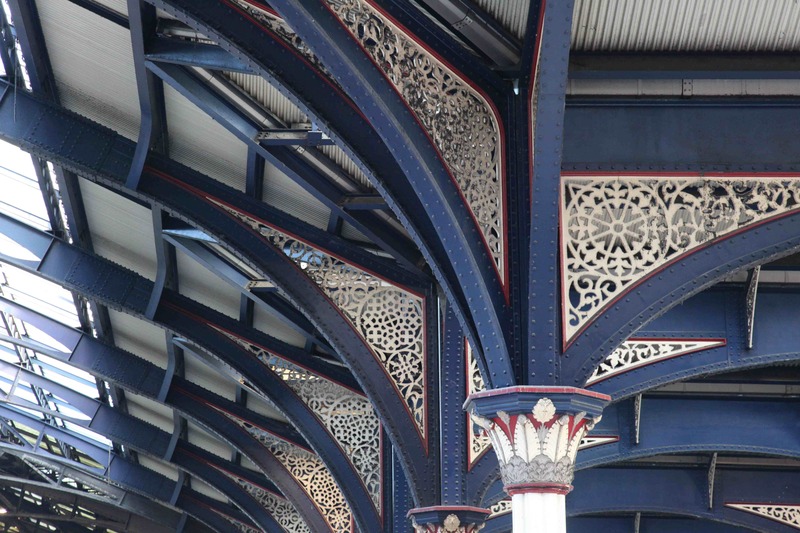 In countless railway stations, Victorian cast-iron ornament remains part of structures that are at once powerfully present and also connected to a past, nebulous as that connection may be. 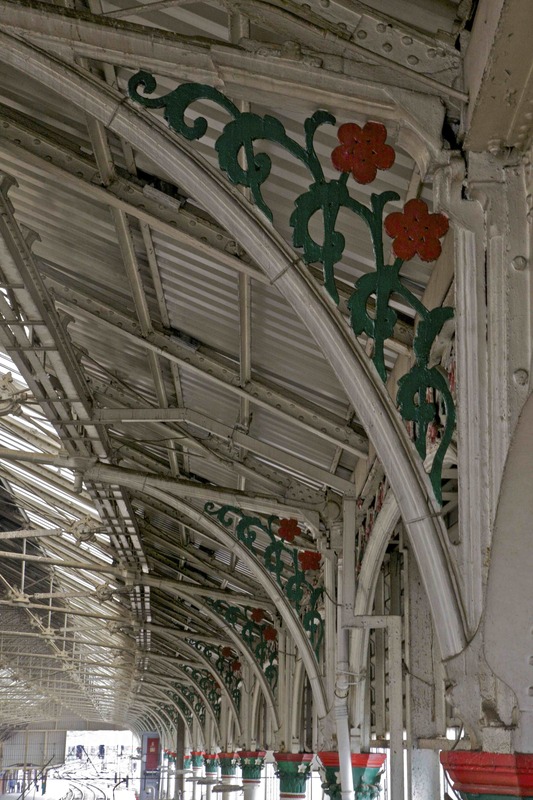 From their inception in the 1830s, railway stations have functioned as potent symbols of modernity – the onward rush of technology – but also places of immense stillness – of waiting, where time past flows into time present. 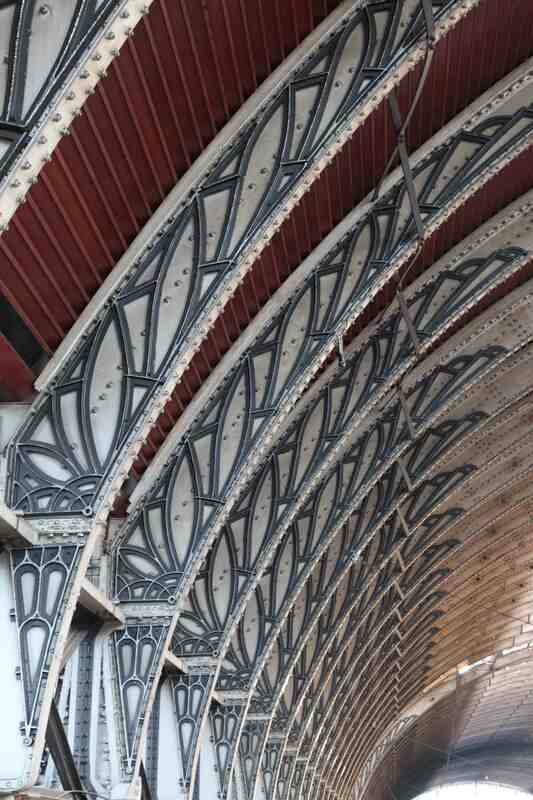 And, within these spaces, if one cares to stand and look, as Austerlitz did, the cast-iron ornament (especially if it’s rusted or stained) reminds us of these slippages in the sleek image of the modern. 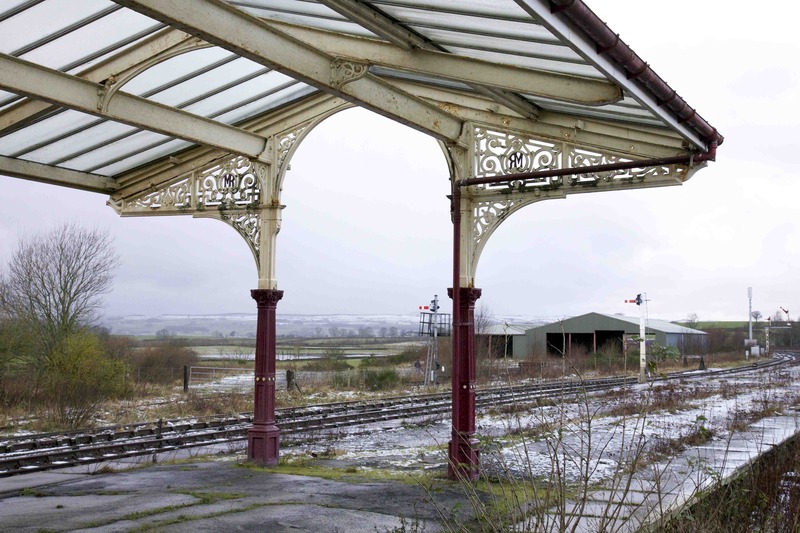 They are places where the whole is perceived – the milling crowds, the endless departures and arrivals of modern life – and, paradoxically, where we feel our individuality most strongly and the deep well of memories that we all carry. Thanks for this & for the Twitter mention.